These action-packed, all-American itineraries are built around the best new restaurants worth traveling for, the splashiest hotel debuts, and cultural happenings from coast to coast. The days are getting longer, and the weather’s getting warmer: It’s time for a good, old-fashioned road trip. Embrace a quirky detour or two along classic highways and byways to discover America’s most exciting cultural debuts, food oases, and fast-evolving cities. Best of all, no roadside motel needed. Each of the five weeklong itineraries below—click the headers for a handy Google Maps route—includes overnights at some of the country’s most lavish new spots, even in rustic locales unaccustomed to five-star digs such as Yellowstone National Park. What are you waiting for? The open road awaits. Ready to take on the biscuit byways? Or hit the sweet tea circuit? Whatever you want to call your adventure through the South, food will be front and center—now more than ever. 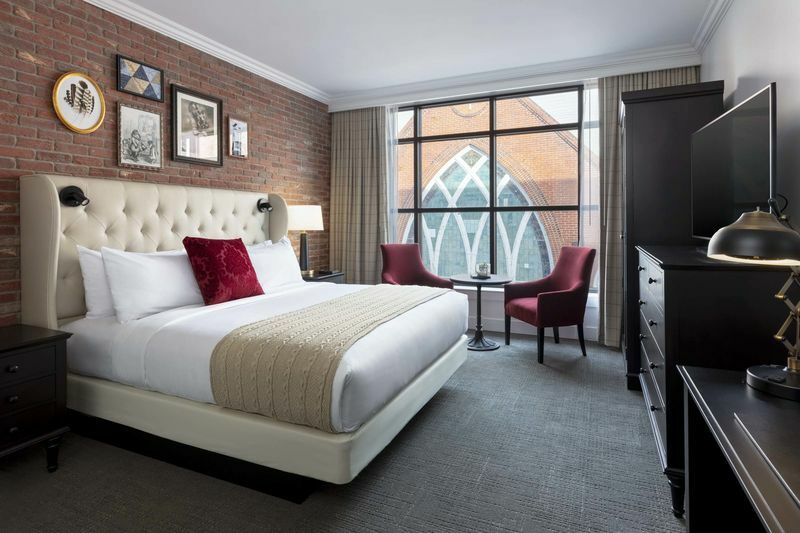 Days 1–3: Start in Charleston, S.C., where the plush Hotel Bennett has just opened in a historic building on King Street—right next to some of the city’s hottest new restaurants, such as Melfi’s. (The hotel’s own restaurant Gabrielle, which merges Charleston flavors and European techniques, is getting plenty of buzz, too.) Want to get hands-on with the city’s food history? The French Quarter Inn has just started food tours with local chef Benjamin Dennis, who famously showed Anthony Bourdain around town for his Parts Unknown series. Day 4: Then head three hours north to Greenville, S.C., a charming culinary center in the making. It’s where Sean Brock recently opened an outpost of Husk, one of the country’s most venerated love letters to Southern cuisine. 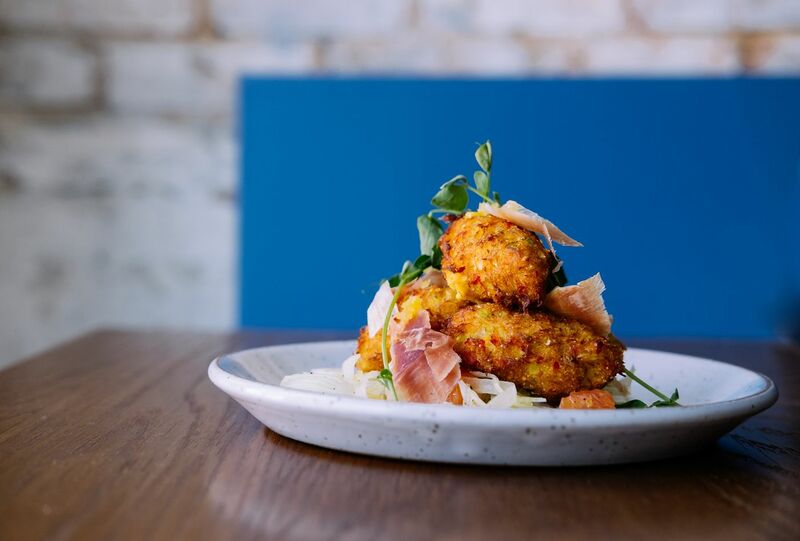 The Anchorage, Greenville’s other destination dining spot with a daily-changing small plates menu, has just been shortlisted for a James Beard Award. Bookmark a brand-new food hall called Gather GVL featuring HenDough (a fried chicken and doughnuts spot) and a craft beer emporium, and you’ll be full as long as you decide to stay. Day 5: A (temporary) break from all the gluttony awaits in Asheville, N.C., where a new hotel called The Foundry is within walking distance of the breweries and old-timey shops downtown; it’s also a few minutes away from the city’s thriving River Arts district. But more important, a stop here gets you closer to the capstone of your foodie pilgrimage, Blackberry Farm, which lies two and a half hours west across the Tennessee border. Days 6–8: Book into the resort’s new wellness-oriented spinoff, Blackberry Mountain, to explore the Great Smoky Mountains by day and then stuff yourself silly by night. The resort’s active offerings include bouldering and aerial yoga in what’s essentially a private concession of the national park, plus access to the iconic restaurants at the main hotel. And, if you’d rather not fly from Knoxville’s tiny airport nearby (which offers limited connectivity even to major hubs), you’ll be only three hours away from Nashville, where a rooftop concert series is soon to kick off at the music-centric Bobby Hotel and swish properties such as the Dream are bringing elevated levels of luxury to a down-home city you likely know and love. What to drive? A Porsche Macan GTS. The best-selling SUV is large enough to hold all your roadside finds but small and sporty enough for some spirited driving on all those blue-smoke Appalachian back roads (it’s a Porsche, after all). 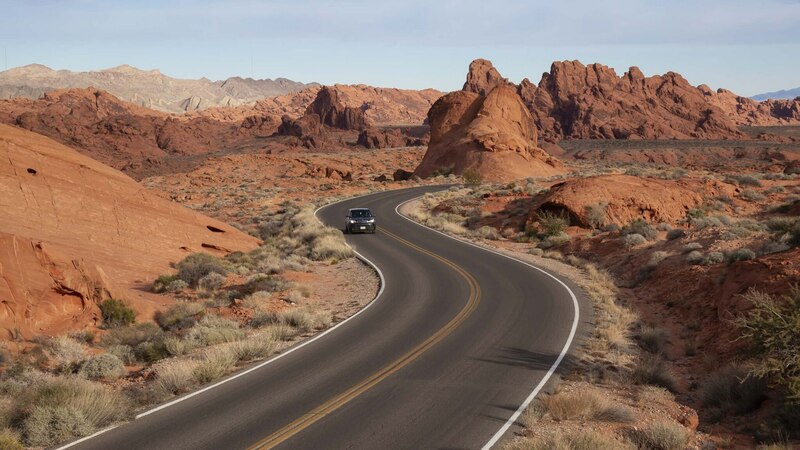 Whether you’re seeking America’s most awe-inspiring sights for a humbling perspective or doing it for the ’gram, there’s never been a better time to drive through the rugged West—especially if you prefer to sleep in the lap of luxury. Day 1: Since you’re likely spending most of your trip off the grid, start with a totally different vibe in Las Vegas. The recently opened NoMad resists the themed schtick of most hotels on the Strip and aims for classy—but of course that’s all relative, and when its new pool opens this month, Moroccan-inspired weekend parties will be helmed by boldface names such as Mark Ronson and DJ Five. Days 2–3: Set out north on Interstate 15, past Valley of Fire State Park and the Beaver Dam and toward Zion National Park in Utah. If you’re lucky, you’ll be sleeping at Amangiri—but since the resort’s sandstone suites book up far in advance, you may have better luck at the Amira Resort in St. George, which incorporates elements of Native American design. 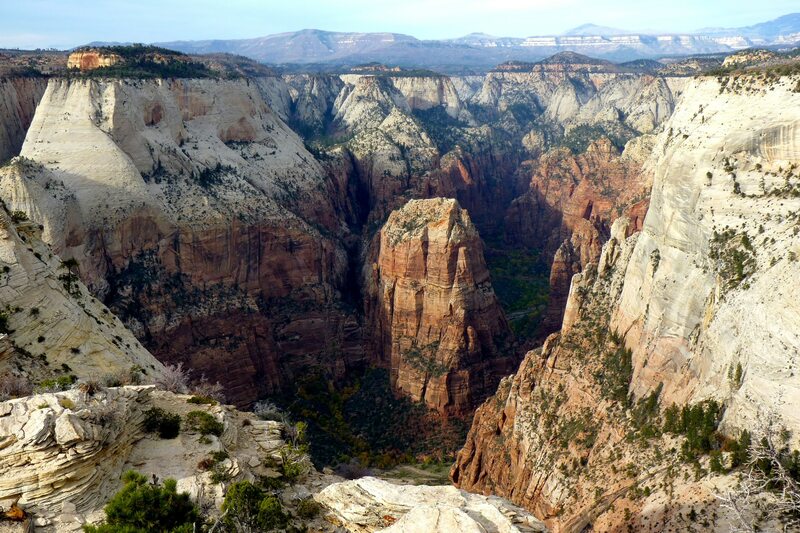 Use either one as a hub to explore the nearby natural attractions: not just Zion, but Bryce Canyon and Grand Staircase-Escalante National Monument. 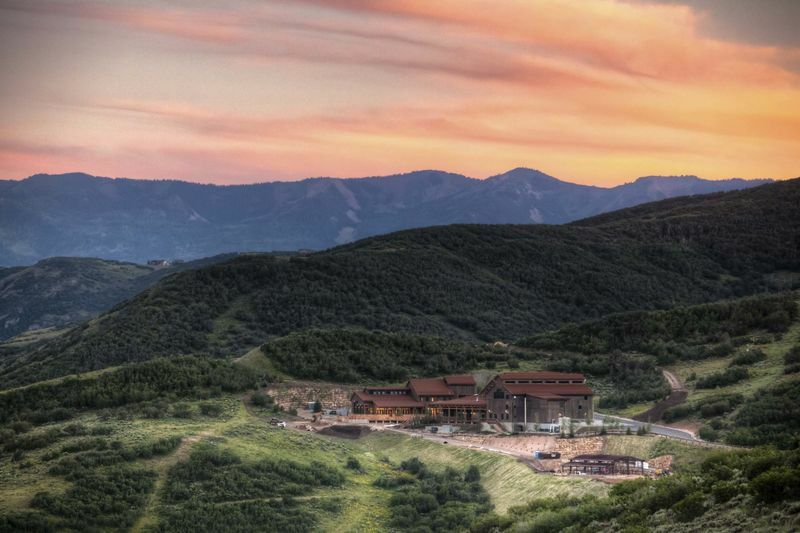 Days 3–5: Head north toward Park City, Utah, where Auberge’s latest five-star resort, The Lodge at Blue Sky, is opening any day now. With pristine access to 3,500 acres of sagebrush-covered mountains, it’s a perfect spot for leisurely clay pigeon shoots and nighttime hikes lit only by the full moon. Days 6–8: A long day of driving (roughly six hours) will get you to Yellowstone National Park. Just on the edge of the park is the new Sage Lodge, where you can live out your Wild West fantasies, whether that means fly-fishing, horseback riding, or searching for buffalo. Day 9: You’ll eventually have to fly out of Helena, Mont., but pit-stopping in nearby Bozeman will give you an easier re-entry into civilization. The city is in the midst of a cultural renaissance: The Rialto theater has just been fully renovated (and hosts live music several nights of the week), galleries such as Cello and Tierney Fine Art put a spotlight on the makers of the American West, and the Museum of the Rockies has one of the largest dinosaur fossil collections in the world. What to drive? The Jaguar F-Pace. It’s stylish and functional, with a panoramic sunroof that’s perfect for taking in all of the tall peaks you’ll be passing. Texas doesn’t offer the most scenic driving, but pretty much everything else about this town-and-country itinerary is as crowd-pleasing as it gets. Days 1–3: Of course you can get stellar brisket and ribs within Austin’s city limits, but you’re here to explore Hill Country, just a few miles away. So check into one of Austin’s funky newcomers (The Line, South Congress Hotel, and the Liz Lambert-designed Austin Motel all get two thumbs-up), and then U-turn straight out of town. Try Opie’s, a half-hour northeast, for its sweet, spicy, and sticky baby back ribs one day; the next, venture along supposedly haunted highways to Milt’s for expertly charred brisket. Want some of the most fabled sausage links in the country? Make your pilgrimage to Salt Lick, or try the less-iconic (meaning: less touristy, but no less delicious) Payne’s Bar-B-Q Shak in the tiny town of Burnet instead. Days 4–6: Go in the opposite direction as most road trippers, by skipping Marfa and heading to Houston instead. (It’s just a two-and-a-half-hour drive—much better than the six-and-change it takes to get to the sleepy arts town.) 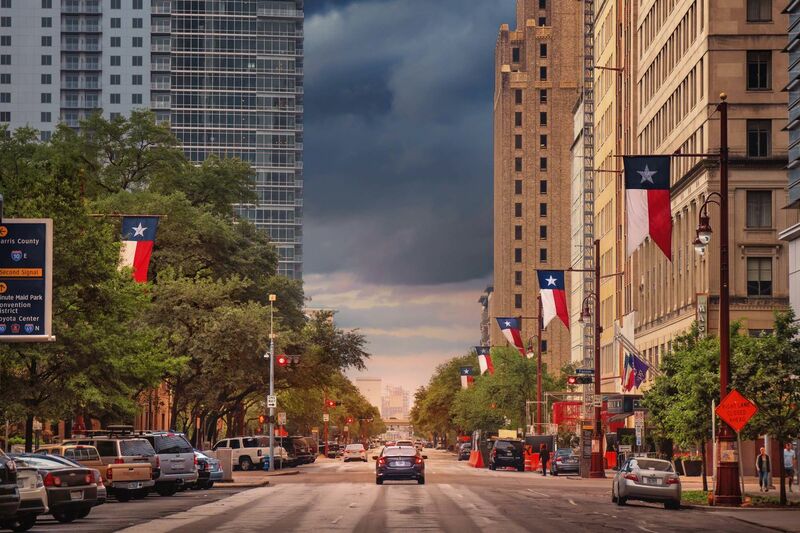 The largest city in Texas is having a banner year, with a host of museum openings and renovations, four new jumbo food courts, and a worth-the-trip exhibit at the Johnson Space Center honoring the 50th anniversary of Apollo 11’s moon landing. Plus, you might even catch the spring rodeo if you plan your trip just right. Days 7–9: You can hightail it to New Orleans in a relatively uneventful five hours, or you can make a day of it with a few fun stops. Amelia Farm & Market is a working pecan farm with grade-A lunch options in Beaumont, Texas, Bread & Circus Provisions in Lafayette, La., recently earned a James Beard nod for its standout pizzas, and the Oak Valley Plantation is a stunning estate that serves as an important reminder of the South’s history. (There’s a small but noteworthy exhibit documenting the area’s ties to slavery right on-site.) You’ll still make it to New Orleans in time to have a night out on the town, and if you’re staying at Maison de la Luz, a whimsically designed entry from the developers of the Ace Hotels, you won’t have to go far—the property’s West Indies-inspired Library Bar and the Italian restaurant, Josephine Estelle, across the street, are both among the city’s most of-the-moment hangouts. What to drive? The Audi R8 V10—a fast and smooth option for all those wide-open, flat roads. You might not want to carve out a full week to explore each of the Midwest’s best cities, but linking them on a road trip is a great way to see how artistic innovation is roaring through the country’s core. Days 1–2: The recently opened Shinola Hotel is the nucleus of all that’s new in Detroit, with its Andrew Carmellini–led restaurant and retail alley with only made-in-Detroit goods (hit up the Brakeman beer hall and weekend-wear specialist Good Neighbor). But it also has strong competition from two other new hotels in town, The Siren and the Detroit Foundation Hotel—both with bold design schemes and plenty of smart local partnerships. With at least $5 billion in major development projects happening across the city, there’s a lot of change in the air, but one neighborhood well into its stride is New Center. For excellent eating, you’ll find the Afro-Caribbean Yum Village and the fine dining spot Cuisine. As for where to drink? Standby has all the whiz-bang tricks up its sleeve as the most creative bars in Manhattan, while Bad Luck goes for more of a retro, Gilded Age vibe (even its run-of-the-mill beers are served in Champagne flutes). Days 3–4: There’s never a bad time to stop in Chicago, so check into the new Hoxton hotel in the Fulton Market District and eat your way around the neighborhood; it’s right by classic spots Momotaro and Au Cheval, and beloved local chef Stephanie Izard has just opened a ceviche spot right at the hotel. Afterward, make time for a quick culture crawl. Theaster Gates has a new multimedia show up at Gray Warehouse through June, there’s an ode to the 100-year anniversary of the Bauhaus movement and its connections to the Windy City at the Matthew Rachman Gallery, and a musical adaptation of August Rush with Broadway aspirations will be playing at the Paramount Theater all season. 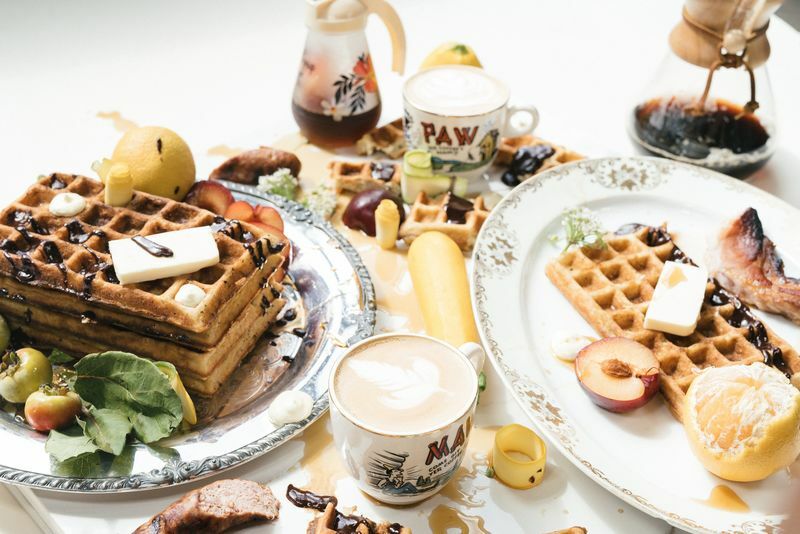 Day 5: Make it an early morning so that you’re in Indianapolis in time for brunch at Milktooth; the city is three hours away, and one of the country’s hotbeds for culinary innovation. Then continue eating your way through our guide of its most exciting new restaurants. Days 6–7: There’s so much more to St. Louis than the Arch, a straight shot down Interstate 10. In fact, its compact and highly walkable arts district has a youthful energy and officially includes more than 60 cultural venues, including the second-oldest symphony in the U.S. and the gilded Fabulous Fox theater. At the recently popped Angad Arts Hotel, David Miskit, the former night manager of Studio 54, is trying to conjure the same funky energy at the hotel as he did at the famed club; think impromptu odes to Dirty Dancing by local troupes or unannounced aria concertos in the middle of the lobby. Days 8–9: Culminate your trip in Kansas City, Mo., less than four hours away. It’s dubbing itself the heart of the “New Midwest” thanks to a proliferation of homegrown creativity that spans from chocolatier Christopher Elbow (whose wildflower honey bonbons are a dream) to the mural park at the Crossroads Arts District (think of it like Miami’s Wynwood) to the many local businesses (like coffee shop The Wild Way and florist KC Bloom Co.) that operate out of retro camper vans. 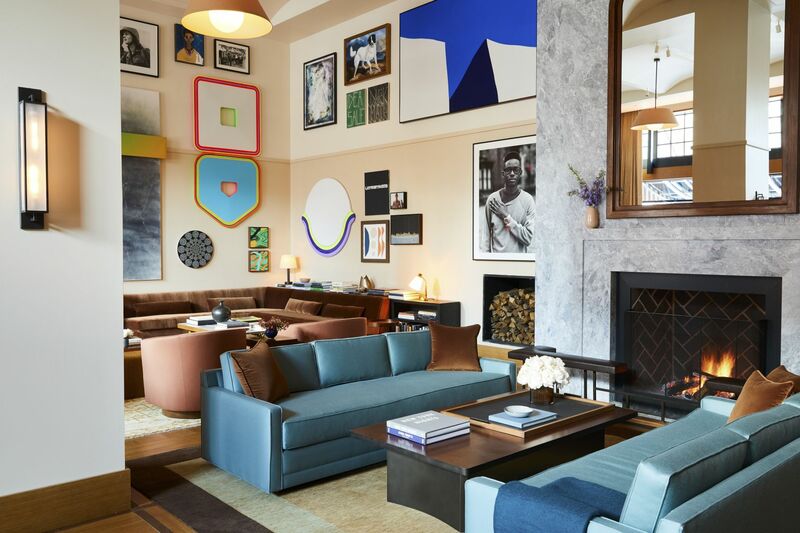 You know a city’s creative clout has reached fever pitch when a 21C Museum Hotel opens, as one did here last summer, with 120 art-filled rooms in the historic Savoy building. What to drive? The Ford Mustang GT—an American icon that shares its roots with your first destination. By focusing on just a small subsection of the usual Highway 1 drive, you’ll make time for a handful of oft-overlooked gems. Day 1: If you can’t resist the pull of Los Angeles, stick around for the day before embarking on your real adventure. (Maybe that means checking out Audrey, a new indoor-outdoor, vegetable-driven restaurant at the Hammer Museum before whirling through its critically acclaimed retrospective on conceptual artist Allen Ruppersberg.) You’ll have a good excuse to check out what all the fuss about DTLA is, too. 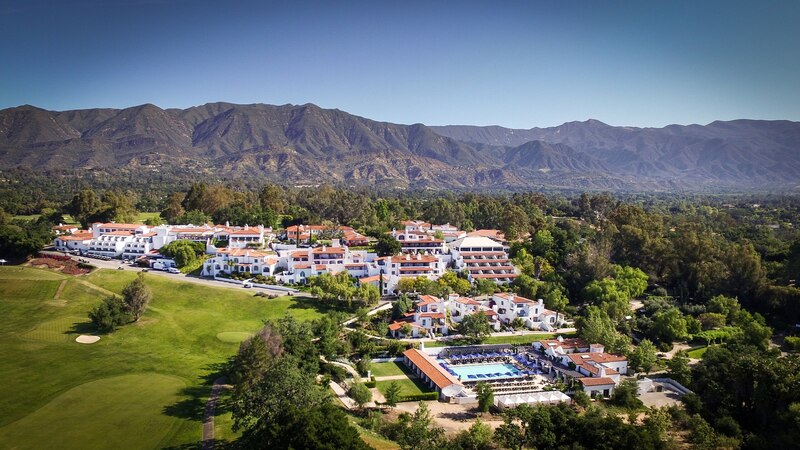 Days 2–3: The Ojai Valley Inn is just 80 miles up the coast, abutting the Los Padres National Forest. It’s been there for what feels like forever, but a newly added farmhouse is reinvigorating its offerings, particularly food. Visiting chefs (Enrique Olvera, Missy Robbins, Dario Cecchini) are slated to cook dinners and teach workshops throughout the year. That high-level touch is right in step with its namesake town, which is seeing a proliferation of galleries and design shops. Days 4–5: As you set out for Montecito, look out for the “100 Year Bloom,” where the hillsides of Southern California erupt in every shade of yellow and orange following significant rainy periods. 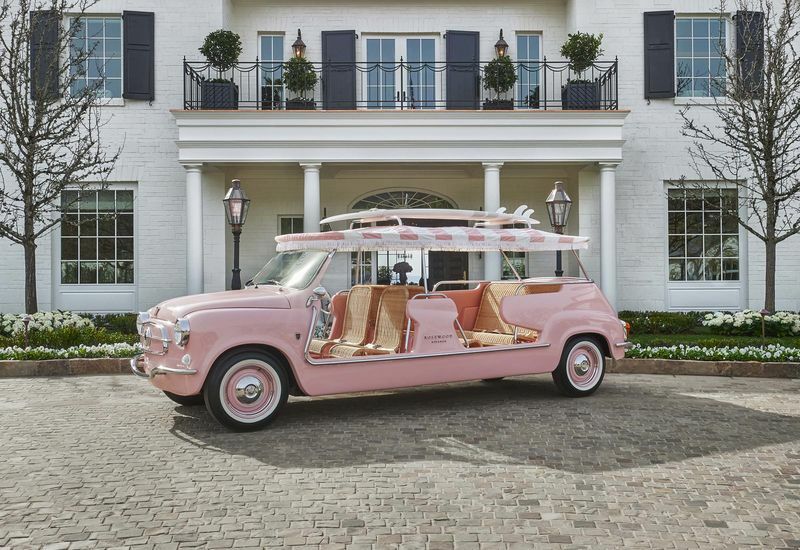 Within 45 minutes you’ll arrive at Rosewood Miramar, where everything—from the 161 rooms and suites to the Goop-branded souvenir shop—is fresh off a Beverly Hills-worthy face-lift. Your M.O. : Spend one day in a poolside cabana soaking up rays, and another in nearby Santa Barbara scoping out the artsy and industrial Funk Zone. Days 6–7: Work your way up the coast, stopping at Hotel Skyview, a recently restyled motel in Los Alamos for an al fresco lunch that starts with Morro Bay oysters and ends with blackberry-smothered goat’s milk cheesecake. Check ahead: If the slick Hotel Cerro in San Luis Obispo hasn’t opened by the time you’re hitting the road, consider extending your lunch into a lazy overnight. You can do far worse than the wineries and tasting rooms in this charming, under-the-radar swath of the Santa Ynez Valley. Days 8-9: Last stop: Big Sur. After four hours on the road you’ll be rewarded by drop-dead views as you cross Pfeiffer Canyon and make your way to Ventana Big Sur, with its rustic-luxe, timber-framed guest rooms. Book a massage in an outdoor treatment room at the spa, sit on the patio and crack a few bottles from the 10,000-label cellar, or spend a night in one of the resort’s five-star campsites scattered among the redwoods—this is a celebration of warm weather at its finest. What to drive? A Bentley Continental GT Convertible. It’s among the biggest, most luxurious, and most comfortable choices to stash all your luggage and still take in the sky.